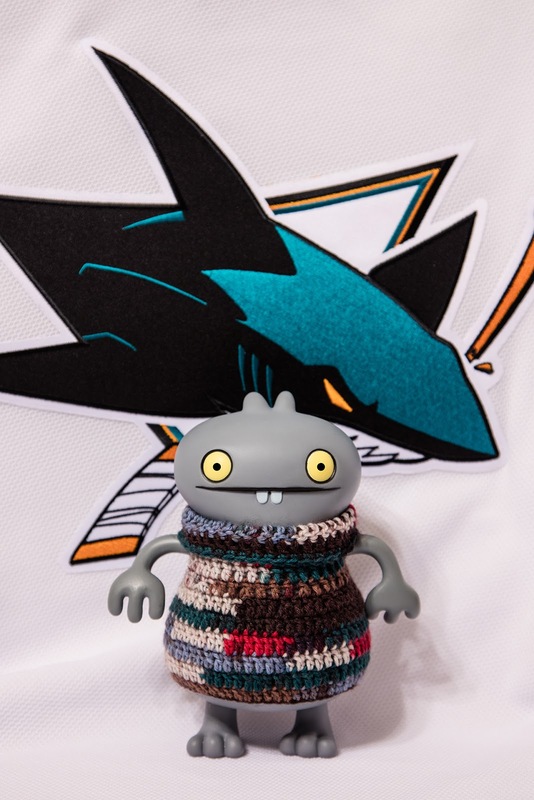 I callereds up my gooders buddy Sharkie downs in San Jose this evenings to makes sure he wasn't feelerings downs that the Sharkies losereds games three in Nashvilles. As usuals Sharkie was upbeaters, he was super happiers to hears that Baz and Mireille has their Sharkies jerseys now, and he wants to sees a photomagraph of them togethers in them for games four on Thursdays. Sharkie reckoners that this will gives the Sharkies the edger they needs to goes ups three gamers to one!